VeriCite DocumentationUser GuidesMoodle User Guide Instructor ArticlesHow do I view VeriCite reports for student submissions? Go to the assignment and click on View/grade all submissions. Zoom: Go to the assignment and click on View/grade all submissions. Select the View/grade all submissions link for the assignment reports you want to view. 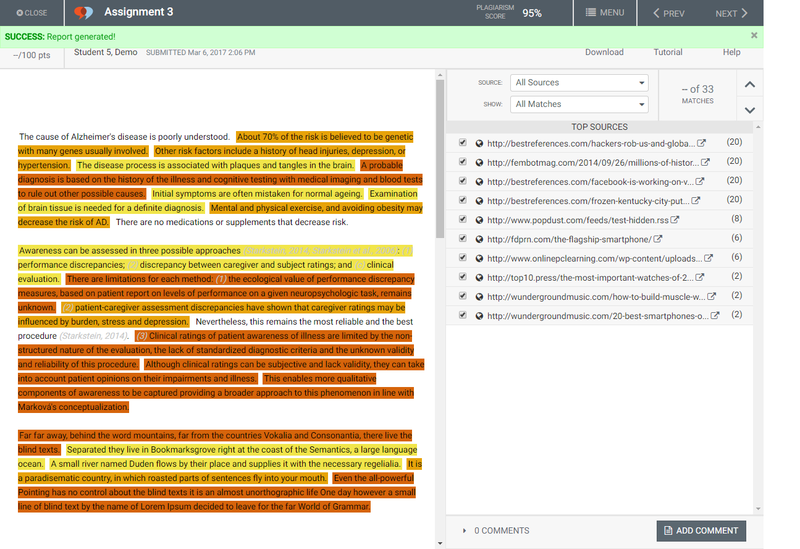 You will see a list of the students in the class, and for those with VeriCite reports, a highlighted plagiarism score will appear in the File submissions and/or Online Text columns. Click on the Similarity link to view the report. 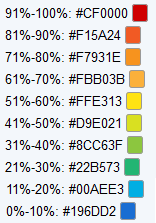 Scores are color-coded to indicate the level of plagiarism (i.e. matching text) detected. Each time a user views a report, the report is dynamically generated. The loading progress indicator informs the user of the repositories being scanned and visually indicates how the report is being compiled. Note: When a paper is submitted, VeriCite takes the top most advanced sentences from the paper and submit them to an external search engine. If you see a "Pending external search engine" indicator, this means that the search results have not yet returned and you will need to view the report again later to see all of the results. Typically, this only happens the first time a report is viewed.